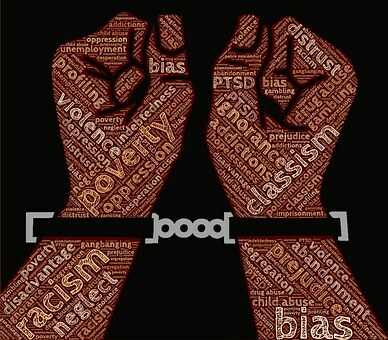 www.searchingforreason.net : FACING THE TRUTH: THE COST OF HATE. PART 1. It is time to pull away the Blinders and see the REPUBLICAN TAX PLAN FOR WHAT IT REALLY IS- A CHANCE TO BRING TOGETHER TWO SEPARATE IDEOLOGIES THAT ARE AFTER THE SAME THING: TO HAVE COMPLETE CONTROL OVER THE LIVES OF ALL AMERICANS, FINANCIALLY, ETHICALLY AND SPIRITUALLY. IT IS THE TOTALITARIAN DREAM THAT FAVORS THE FEW, AT THE EXPENSE OF THE MANY. 1. Those who favor BIG TAX BENEFITS FOR CORPORATE AMERICA, AND KEEPING THE COUNTRIES WEALTH IN THE HANDS OF THE FEW. NO UNIVERSAL HEALTH CARE, AND FEW REGULATIONS THAT PROTECT THE CONSUMER. 2. Those who believe in the SOCIAL HIERARCHY THAT FAVORS SPECIFIC GROUPS, AND PERSECUTES OTHERS. FREEDOM OF RELIGION, SPEECH, OR ASSEMBLY etc., ARE NO LONGER RIGHTS UNIVERSALLY APPLIED TO ALL, BUT ARE GIVEN HANDED OUT AS PRIVILEGES BY THOSE WHO CARE LITTLE FOR CONSTITUTIONAL GUARANTEES. to the rest of the Nation? Medical Coverage, when compared to other States? and Logic, whether or not they disagree with Religious Faith? 10 of our women WON last night! EMILY's LIST. Day of Action 2018. United Way of Rhode Island. THE ADL BANNER AT THE BOSTON PRIDE PARADE. SELECTED POSTS TAKEN FROM THE WEBSITE. You can't be what you can't see. HILLARY CLINTON. Happy Mother's Day. CONGRESSMAN DAVID CICILLINE. ANNOUNCING THE SPRING 2018 APA NEWSLETTERS. We Did It! CONGRESSIONAL CANDIDATE KEN HARBAUGH. TOWN HALL MEETING: U.S. SENATOR ELIZABETH WARREN. WFSE knows: Rittereiser Over Rossi. Reminder: APA elections are underway. What we did on Monday. HILLARY CLINTON.